While cameras were a no-show at CES 2019, a Canon executive dropped a small bombshell when speaking to photography publication Imaging Resources in an exclusive interview. According to Yoshiyuki Mizoguchi, the top product-planning man at Canon Inc, video recording is playing a major role in future development of the new EOS R system. With that in mind, “an 8K video capable camera is already in our EOS R-series roadmap,” Mr Mizoguchi said. “And we are not just looking at video from a camera perspective, we are also working on how to make RF lenses better for video capture as well. For example, the RF 24-105mm f/4L was the first L-series lens with Nano USM technology, which contributes to silent and smooth autofocus while shooting video,” he added. While most camera manufacturers made 4K video capture the norm in their mirrorless systems, Canon bided its time. The first Canon mirrorless camera to feature high resolution video recording was the EOS M50 which launched in early 2018. 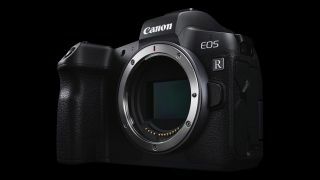 And, although the new Canon EOS R full-frame mirrorless camera does feature 4K shooting, users have complained that it's crippled by an 1.8x crop and maximum frame rate of only 30fps. However, if what Mizoguchi has teased us with is true, Canon could be one of the first imaging companies to launch an 8K full-frame mirrorless camera. This could mean there’s a sea change taking place within the company, with Canon now eager to take Sony head-on in the innovation front. During the interview, Mizoguchi also mentioned that Canon will continue to develop new DSLRs as there was a “very strong demand” for the snappers like the 5D Mark IV, the 6D Mark II and the EOS 80D over the Christmas shopping period. That’s good news as we are expecting to see the Canon EOS-1D X Mark III arrive some time this year. When the 8K EOS R camera will be announced, though, is anyone’s guess.